Join Garth Hewitt for this 40hr Shiva Yoga Intensive Training Program. Setting intentions and practicing gratitude, students move through a challenging and balanced flow, with an emphasis on concentra- tion and surrendering into the fire, in order to achieve a state of balance, let go of attachment to the ego, quiet the mind, and work towards Self-realization. This class will conclude with an extended final rest and seated meditation. Advanced variations will be taught for advanced students, and modifications will be offered for beginners. Students practice seated pranayama with mudras and bandhas, learning to work with energy and find balance. This is followed by a guided yoga Nidra practice teaching students to let go of the outer world and the body and turn inward. The practice concludes with seated concentration practices and a Seedless meditation which helps students to quiet their mind, move into stillness, and experi- ence a deeper connection to the true nature of the Self. Hip Opening Workshop | $65 ($52 Early)Students will review anatomy, learn about the muscles involved in hip opening, breakdown beginner, intermediate, and advanced poses, and explore sequencing and the purpose of hip opening in a yoga class. This workshop is suitable for all levels. Excellent for teachers and students who want to become teachers, and for anyone who wants to learn more about hip opening. Arm Balancing Workshop | $65 ($52 Early)Students will review anatomy, learn about the muscles involved in arm balancing, breakdown beginner, intermediate, and advanced poses, and discuss sequencing and the purpose of the arm balancing in a yoga class. This workshop is suitable for all levels. Advanced variations and transitions from inversions and downward dog will be taught for intermediate and advanced students, and there will be modifications and preparation poses for beginners. Excellent for teachers and students who want to become teachers, and for anyone who wants to learn more about arm balancing. Students will review anatomy, alignment, asana breakdown, sequencing, and learn how to adjust poses. This workshop is suitable for all levels. Excellent for teachers and students who want to become teachers, and for anyone who wants to learn more about asana breakdown, alignment, and how to deepen their asana practice. Students will review anatomy, learn the core muscles, their function, how they are used in different poses, and discuss sequencing and the purpose of the core exercises in a yoga class. Students will learn how to stabilize their low back with core bracing techniques, how to engage the transverse abdominals, and take a closer look at the muscles used during; respiration, pranayama, and the advanced bandha practices. This workshop is suitable for all levels. Students are encouraged to work at their own pace. There will be modifica- tions for beginners. Excellent for teachers and students who want to become teachers, and for anyone who wants to learn more about their core. ZHEJIANG YOGA TOURISM CULTURAL FESTIVAL! Join Garth Hewitt for the Zhejiang Yoga Tourism Cultural Festival on April 27th! Join Garth Hewitt for a Shiva Power® classes at this year’s Zhejiang Yoga Festival. Setting intentions and practicing gratitude, students move through a challenging and balanced flow, with an emphasis on concentration and surrendering into the fire, in order to achieve a state of balance, let go of attachment to the ego, quiet the mind, and work towards Self-realization. This class will conclude with an extended final rest and seated meditation. Advanced variations will be taught for advanced students, and modifications will be offered for beginners. Garth will be joining other International Presenters and top Chinese Yoga Teachers. Zhejiang Yoga Festival is one of the largest and most popular yoga festivals in China. GUANGZHOU YOGA ARTS FESTIVAL! Join Garth Hewitt at the Guangzhou Yoga Arts Festival: May 18th & 19th! Join Garth Hewitt for several Shiva Power® classes at this year’s Guangzhou Yoga Arts Festival. Garth will be joining other International Presenters and top Chinese Yoga Teachers. Guangzhou Yoga Arts Festival is one of the largest and most popular yoga festivals in China. Students will review anatomy, learn the core muscles, their function, how they are used in different poses, and discuss sequencing and the purpose of the core exercises in a yoga class. Students will learn how to stabilize their low back with core bracing techniques, how to engage the transverse abdominals, and take a closer look at the muscles used during; respiration, pranayama, and the advanced bandha practices. Students will learn an overview of anatomy and anatomical terms, learn about common structures of the body, explore planes of movement, direc- tions of movement, and look more closely at the musculo-skeletal struc- ture, the anatomy of movement, and the spine. Students will learn how to breakdown beginner, intermediate, and advanced poses, and discuss sequencing, how this relates to anato- my, and the purpose of alignment in a yoga asana class. Students will review anatomy, learn about the muscles involved in arm balancing, breakdown beginner, intermediate, and advanced poses, and discuss sequencing and the purpose of the arm balancing in a yoga class. Advanced variations and transitions from inversions and downward dog will be taught for intermediate and advanced students, and there will be modifications and preparation poses for beginners. This festival is the celebration of health, wellness and spiritual growth through yoga, ayurveda, sacred music, sound baths, Kirtan, dance and many other healing modalities. Garth will be joining other instructors such as Yogi Arvind, Dr. Seeta Narsai, Ana Netanel, Nishi Jumna, and Keith Mitchell. Moksha Festival is the only yoga festival in the LA area. This festival will happen in Frazier Park, CA, a small mountain town about 1.5 hour north of Los Angeles. Join Garth Hewitt for several Shiva Power® classes at this year’s Yonion Festival in Xiamen, China. Garth will be joining other International Presenters such as Dice Iida-Klein, Tymi Howard and others. Yonion Festival is one of the largest and most popular yoga festivals in China. These workshops are suitable for all levels of students. Some experience is recommended. Garth is a well-known 500 E-RYT teacher and teacher trainer who trained with Sri Dharma Mittra, Srivatsa Ramaswami, Annie Carpenter & the Patthabi Jois family. He currently leads classes, workshops, retreats, and teacher trainings all over the world. This workshop will explore Tantra philosophy, Hatha Yoga, the chakra system, and the subtle body. Students will practice different pranayama techniques, mudras and bandhas, and learn practices designed to awaken the Kundalini force. This workshop will review anatomy and asana breakdown. Students will learn about the muscles involved in the Head Balance poses; break down beginner, intermediate, and advanced poses; and discuss sequencing and the purpose of the Head Balance poses in a yoga class. This workshop will review anatomy and asana breakdown. Students will learn about the muscles involved in the Shoulder Stand, Plow Pose, and the Fish Pose; break down beginner, intermediate, and advanced variations; and discuss sequencing and the purpose of the Shoulder Stand Sequence in a yoga class. These workshops are suitable for all levels of students. Not suitable for pregnant women; not recommended for women on their cycle. YOGAWORKS! El Segundo (Los Angeles) - 2 Pop Up Class Events with Garth Hewitt!! Monday, March 4th - 2:30-4pm - Shiva Power® & Tuesday, March 5th - 8-9:30am - Shiva Meditation®!!! These classes are suitable for all levels of students. Some experience is recommended. Open to YW members and non-members. BAJA SOUL YOGA! 10 Day - 50hr Shiva Yoga® Intensive Program with Garth Hewitt at Baja Soul Yoga in Cabo San Lucas - February 15 - 24 - 2019! 20% Off With Early Registration By January 1st, 2019! Shiva Yoga® Weekend Intensive with Garth Hewitt + Full Week of Shiva Power® & Shiva Meditation® classes, at Kula Yoga, in Port Orange & New Smyrna - January 15th - January 20th - 2019! Students will explore; breathing, yogic breathing, and pranayama; review anatomy, learn about the muscles involved in breathing and different pranayama techniques; Tantra philoso- phy, Hatha Yoga, the chakra system and the subtle body, and the purpose of pranayama in a yoga practice. This workshop is suitable for all levels. Excellent for teachers and students who want to become teachers, and for anyone who wants to learn more about breathing and pranayama. Students will review anatomy, learn about the muscles involved in hip opening, breakdown beginner, inter- mediate, and advanced poses, and explore sequencing and the purpose of hip opening in a yoga class. This workshop is suitable for all levels. Excellent for teachers and students who want to become teachers, and for anyone who wants to learn more about hip opening. Students will review anatomy and learn about the muscles involved in the handstand. Several techniques will be taught to help students find balance in the middle of the room. This workshop is suitable for all levels. Advanced variations will be taught for intermediate and advanced students, and modifications and preparation poses for beginners. Excellent for teachers and students who want to become teachers, and for anyone who wants to deepen their practice and learn more about handstands. A discussion of yoga philosophy and meditation is followed by a complete Shiva Meditation® class. Students practice seated pranayama with mudras and bandhas, learning to work with energy and find balance. This is followed by a guided yoga Nidra practice, teaching students to let go of the outer world and the body and turn inward. The practice concludes with seated concentration practices and a Seedless meditation which helps students to quiet their mind, move into stillness, and experience a deeper connection to the true nature of the Self. Students will explore; breathing, yogic breathing, and pranayama; review anatomy, learn about the muscles involved in breathing and different pranayama techniques; learn about Tantra philosophy, Hatha Yoga, the chakra system, bandhas, mudras, and the subtle body, and discuss the purpose of pranayama in a yoga practice. There will be time to practice different breathing exercises and various pranayama techniques. This workshop is suitable for all levels. Excellent for teachers and students who want to become teachers, and for anyone who wants to learn more about breathing and pranayama. ﻿Setting intentions and practicing gratitude, students move through a challenging and balanced flow, with an emphasis on concentration and surrendering into the fire, in order to achieve a state of balance, let go of attachment to the ego, quiet the mind, and work towards Self-realization. Shiva Yoga draws inspiration from Dharma Yoga, Vinyasa Krama, Vinyasa Flow, Mysore Style Ashtanga Yoga, Iyengar Yoga, Yoga Therapy Rx and Yoga Tune Up. Founder of this program, Garth Hewitt, draws on his extensive knowledge and practice of yoga with his teacher’s: Sri Dharma Mittra, Srivatsa Ramaswami, Annie Carpenter, the Patthabi Jois family, Dr. Larry Payne, Dr. Christopher Chapple, and Jill Miller, as well as over 15 years of teaching experience. Breathe Into the Holidays with Garth Hewitt at the YogaLoft in Manhattan Beach - December 15/2018! Join Garth Hewitt as he guides you through multiple techniques to get you through the holidays and beyond. This three hour workshop will combine breathing techniques, Shiva Meditation® and Yoga Nidra. Garth is a well-known 500hr E-RYT teacher, teacher trainer, certified Dharma Yoga teacher, certified Yogaworks teacher, and a yoga therapist, completing the Yoga Therapy Rx program, with Dr. Larry Payne, at Loyola Marymount University. He has completed teacher training with Sri Dharma Mittra, Srivatsa Ramaswami, Annie Carpenter, Jill Miller, & practiced in Mysore, India with the Patthabi Jois family. He has been featured in, and contributes regularly to, Yoga Journal, Men's Health Magazine, Mantra Magazine, Yoganonymous, and LA Yoga. Weekend with Garth Hewitt at Yogaworks in the Southbay! He's back! Join Garth Hewitt for one or all of these weekend workshops focusing on philosophy & Shiva Yoga Meditation®, a Shiva Power® master class and an Arm Balancing workshop. A Weekend of Shiva Yoga® Master Classes! Join Garth Hewitt in Port Orange at Kula Yoga! September 14, 15, & 16! 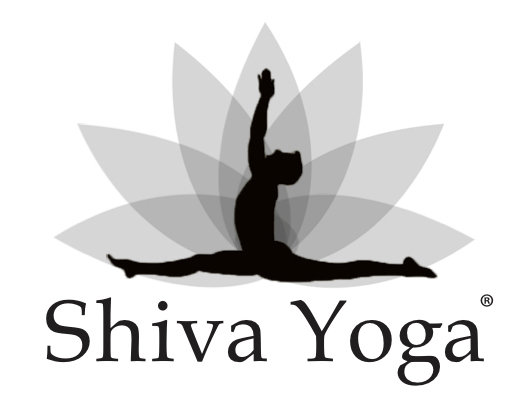 A Weekend of Shiva Yoga® with Garth Hewitt at Guruv Yoga, Pilates & Dance! Join Garth Hewitt for a weekend of Shiva Yoga® classes and workshops at Guruv Yoga in Orlando on September 8th & 9th! Shiva Yoga Weekend Intensive at Aladdin Yoga in Shenzhen! Join Garth for this 18hr weekend intensive with morning Shiva Power® and Shiva Meditation® classes and afternoon Handstand, Hip Opening, and Backbending workshops, on Friday, Saturday, and Sunday. Yoga, Meditation, Head Balance & Shoulder Stand Workshops at Yoga Remedy's Essential Wellness in Harbor City! Join Garth Hewitt at Yoga Remedy's Essential Wellness for a weekend of yoga, meditation, and inversion workshops. Friday - 6-8:30pm Philosophy Talk & Shiva Meditation® class! Yoga, Pranayama & Meditation with Garth Hewitt at Yoga Remedy's Essential Wellness in Harbor City! Join Garth Hewitt at Yoga Remedy's Essential Wellness for a weekend of yoga, pranayama and meditation with a philosophy talk and Shiva Meditation® class on Friday night, a Shiva Power® master class on Saturday afternoon, and a pranayama workshop on Sunday afternoon. Shiva Yoga 20hr Training Intensive + Shiva Yoga 15hr Weekend Intensive at Baja Soul Yoga! Students Completing all 35 hours of this program at Baja Soul Yoga receive a Shiva Yoga Intensive Certificate. New Years' Eve Yoga Event! At Yoga Remedy's Essential Wellness! Please join us at Yoga Remedy’s Essential Wellness on New Years’ Eve for a special yoga and meditation event to bring in the New Year! Garth Hewitt will lead a special Shiva Yoga Maha Sadhana practice with: asana, pranayama, cleansing practices, meditation, guided yoga nidra meditation, spiritual discourse and yoga philosophy discussion, as well as lots of fun partner yoga and a special yoga demo and offering. We will be meditating at midnight! Pure Yoga Shanghai Presents: A Weekend Intensive Workshop with Garth Hewitt! Join Los Angeles based Master teacher, Garth Hewitt, as he returns to Pure Yoga Shanghai for a transformational weekend of yoga, meditation, and philosophy. Garth will be leading 2 complementary master classes during the week before the 18hr weekend intensive. Garth is the founder of the Shiva Yoga system. The Shiva Yoga system emphasizes traditional yoga and the path of Self-realization and teaches students how to pursue this goal using a modern yoga practice. Shiva Yoga draws inspiration from Dharma Yoga, Vinyasa Krama, Vinyasa Flow, Mysore Style Ashtanga Yoga, Iyengar Yoga, Yoga Therapy Rx and Yoga Tune Up. Founder of this program, Garth Hewitt, draws on his extensive knowledge and practice of yoga with his teacher’s: Sri Dharma Mittra, Srivatsa Ramaswami, Annie Carpenter, the Patthabi Jois family, Dr. Larry Payne, Dr. Christopher Chapple and Jill Miller, as well as over 15 years of teaching experience. This weekend intensive will help you take your yoga practice to the next level. Whether you are a yoga teacher who would like to enhance your practice, or a beginner yoga student who would like to explore deeper, join us for this weekend intensive. Haipoo Yoga & Pilates Presents: Shiva Yoga Weekend Intensive with Garth Hewitt! Garth Hewitt, returns to China for a transformational weekend of yoga, meditation, and philosophy at Haipoo Yoga & Pilates this November! Yoga teacher's & students of all levels who would like to enhance your practice, explore deeper yoga philosophy, and take your yoga to the next level -- please join us for this exciting this weekend intensive. There will also be additional master classes and yoga events with Garth earlier in the week before the weekend intensive. Yoga Remedy's Essential Wellness Presents: Master Classes & Workshop Intensive with Garth Hewitt! Join Los Angeles based Master teacher, Garth Hewitt, for a transformational weekend of yoga, meditation, and philosophy. We are excited to offer these amazing hours to you! Whether you are a yoga teacher who would like to enhance your practice, or a beginner yoga student who would like to explore deeper, this weekend intensive offers a great connection to your dedication and your journey. Kula Yoga Presents: A Weekend of Shiva Yoga with Garth Hewitt! Join Los Angeles based master teacher, Garth Hewitt, for a transformational weekend of Shiva Yoga -- A philosophy discussion and Shiva Yoga meditation practice, a Shiva Power Master class, and a Handstand workshop. Shiva Yoga 15hr Weekend Intensive with Garth Hewitt at Agoura Power of Yoga! Join Garth Hewitt for a 15hr Shiva Yoga Weekend Intensive at Agoura Power of Yoga! This weekend intensive will begin with a philosophy discussion and pranayama exploration, with meditation practice on Friday night. Saturday afternoon, students will practice Garth's signature Shiva Power master class, followed by a Shiva meditation class. Saturday evening there will be an Arm Balancing Workshop. Sunday afternoon, students will practice another Shiva Power master class, followed by another Shiva meditation class. Sunday evening there will be an Inversions 101 Workshop, exploring the head balance and the shoulder stand. Shiva Yoga 15hr Weekend Intensive with Garth Hewitt at Patrick Broome Yoga Studio in Munich! The 15hr Weekend Intensive is our most popular booking and Garth has taught these weekend intensives all over the world. The 15hr Weekend intensive gives students a chance to experience a number of different practices with Garth, that are spread out over an entire weekend. (A sample schedule is below.) The full weekend is usually offered with a discount price for those signing up for the entire weekend and higher pricing for students who just want to sign up for an individual class or workshop. Pure Yoga Singapore Presents: Shiva Power Master classes with Garth Hewitt! Join Los Angeles based master teacher, Garth Hewitt, at Pure Yoga Singapore on September 25th & 26th for 2 days of Shiva Yoga! Garth will be teaching 2 Shiva Power Master classes with extra backbends and handstand practice + meditation. Equinox Yorkville Presents: Shiva Yoga + Meditation with Garth Hewitt! Equinox Yorkville presents a Shiva Power master class and a Shiva meditation class with Garth Hewitt on Saturday, September 2nd. Please join us for this special holiday weekend event. Weekend Workshop Intensive with Garth Hewitt in Cabo San Lucas! From journeying into stillness, exploring mudras, bandhas and pranayama, to advanced asanas, such as, handstands and backbends; Garth offers something for everybody and every body. Garth will be presenting 2 Master Class Workshops at the Elysia Yoga Convention being held April 5th - 11th, at the 5 star Aegialis Resort & Spa, on the Island of Amorgos, in Greece. For a full schedule and lineup of teachers as well as convention package information click on the link below. Convention Packages include accommodations, 3 gourmet meals daily and unlimited yoga classes as well as discounts at the spa on treatments during the convention. Garth will be presenting 1 workshop and 1 master class at this year's Grafts Hellas Health & Fitness Conference in Thessaloniki, Greece being held March 31st - April 2nd - 2017. Prana means life force. Yama means control. Ayama means expansion or without control. Pranayama is therefore the practice of controlling and expanding the life force energy. What does this mean, though? Find out as we explore in this workshop; the importance of the breath in yoga, the anatomy of breathing, and the philosophy behind pranayama and the pranayama practices. Students will learn basic breathing techniques as well as more traditional pranayama practices. There will be plenty of time for practice and exploration of each technique.